Do you want to quickly build up your presence on Instagram? Would you like to learn how to get started with influencer marketing? 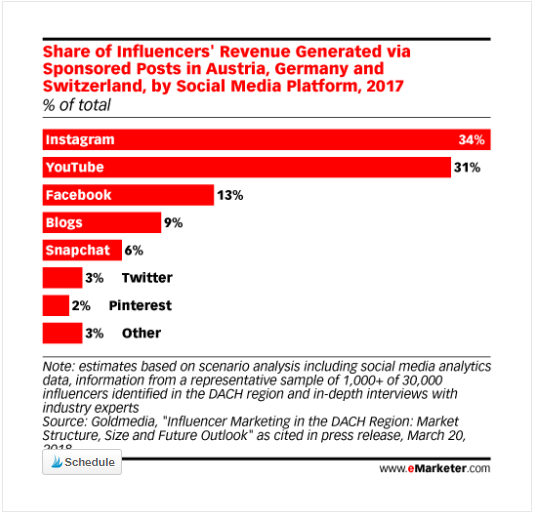 If you’re looking for a way to quickly gain relevant followers and sales at the same time on Instagram, influencer marketing is your best option. It works really well on Instagram. According to a report from emarketer, it is the best network for influencer marketing. You should be able to find influencers in almost any niche. Some of them will help promote your content for free, while other will charge you a fee. To get the best results you need to go about finding the right influencers meticulously. If you work with the right people you will get the highest ROI for the time and money you put in. One of the mistakes I see people frequently making while getting started with influencer marketing is placing the focus on the number of followers. They only choose accounts based on the number of followers they have. This is a big mistake as instead of focusing on the number of followers, they should focus on relevancy. For e.g. if you are in the food industry you should only work with food influencers like Strictly Dumpling. This Instagram account might have less than a 100,000 followers, but they will be relevant to the topic of food. More followers will engage with the post, follow your account as a result and even buy the product promoted. But instead if you work with a fashion influencer just because they have a lot more followers, you won’t see the same results. So, make a note of your target audience and only then begin looking for influencers they follow. Next, begin looking for relevant influencers. To quickly find them you can use Ninja Outreach. Just sign up to them and type in the name of the niche in which you are looking for influencers and it will show you the top influencers. You will be able to see the number of followers the influencers have, their engagement rate and the number of likes per post. Pay close attention to all this data and pick your influencers. You can also create a spreadsheet where you can detail all the influencers you want to work with and their stats. After you create the list you can begin contacting the influencers one by one by using Instagram direct messaging. In it ask them if they would be willing to do a shoutout for free or if they charge. If they charge find out how much they charge and everything that is included. Write down the price and all the details in your spreadsheet. After you choose the influencers you want to work with you can team up with them and brainstorm Instagram post ideas. Then pick the idea you like best, create the photo, write a good description with hashtags and schedule the Instagram post to go out at the best time. Also make sure they tag your account in the description. After the post goes live you should keep track of the data. Check how many sales you gained, how many followers you attracted and the number of likes and impressions the post got. This data will help you pick better influencers later. It will also help you decide if it is worth it to work with this influencer in the future. You can add this data to your spreadsheet. Follow these 4 steps and you will execute a successful influencer marketing strategy on Instagram. This takes a bit of work than just finding people with the most followers and working for them. But it will ensure that you get the highest ROI for money spent.